Executive search expands the candidate pool. Exceptional talent is a rare commodity. Executive recruiters have a network of contacts that expands far beyond in-house recruiters. The best candidates are frequently already employed and executive recruiters are in a better position to attract them to new opportunities. The benefits of using executive search need to be weighed against the cost of preparing and executing a recruitment advertising campaign, the time required to screen and interview candidates, the time required to check credentials and references, and the cost of long delays in finding the right candidate. Recruiting takes time away from other critical activities. Even more important is the potential cost of making a wrong decision. Executive search cost-effectively increases the chance of finding the best possible candidate. Executive search brings objectivity and credibility to the process. Search consultants help clients objectively evaluate organizational needs and expectations, review organizational structure and reporting relationships, establish realistic position profiles and compensation packages, and understand the current healthcare recruitment market. Search consultants objectively evaluate all potential candidates – both internal and external. Internal candidates appreciate the objectivity of search consultants and many external candidates will only participate under the strict confidentiality of a search consultant. Search consultants can also glean significant information from even reluctant reference-givers. All of our time and attention is devoted to knowing and supporting the healthcare industry. Our consultants are Masters-prepared nurses who have been nursing executives in leading institutions. Executive search is just one of a continuum of services we offer. And, by getting to know our clients well, we provide novel alternatives that may not otherwise be considered. National Stature & Diverse Client Base. Many of our clients have been using our services for years and help us to develop new relationships through word-of-mouth referrals. We keep our clients fully informed throughout the search process, while respecting the value of their time. Many of our placements stay in their positions for years, or are promoted to higher-level positions. Kirby Bates Associates uses an organized approach to all search assignments. But, because each case is unique, our methods are consultative and adaptive. Most assignments follow a five-step process that extends over a 12- to 16-week period from the time the Agreement is signed until a candidate is selected. Some searches can be completed in less time and some will take longer, but 12 to 16 weeks is our target. We begin with an on-site assessment of the organization's history, culture, scope of services, strategic goals, organizational relationships and leadership needs. We meet with management, key staff, physicians, and others to define the primary responsibilities and requirements of the position, the ideal personal characteristics, and the first-year objectives and/or deliverables. If, during this process, we identify challenges or barriers to the search, we work with the hiring executive and recommend strategies to try to overcome them. Immediately following the on-site assessment, we prepare a Position Profile that includes an overview of the organization and geographic location, the responsibilities of the position, the required education and skill set, the ideal personal characteristics, the first-year objectives or criteria for success, and the key attractions of the position. We develop a search strategy that targets specific geographic locations and organizations, identifies key marketing tactics, and establishes timelines for the search. We then employ multiple techniques for identifying potential candidates. These can include database and on-line research, targeted advertising, referral networks, direct mail, e-mail and telephone contacts. We cast a wide net to identify a deep and diverse candidate pool. We carefully screen all candidates, including internal candidates, using the same criteria. We discuss potential candidates with the client and work together to narrow the field. We then conduct in-depth personal interviews with the strongest candidates who meet the established the criteria. We verify credentials, conduct formal reference checks, and seek individuals who can provide confidential, professional and/or personal references. A Candidate Presentation is prepared for each semi-finalist prior to on-site interviews. This will include the candidate's resume, a profile highlighting the candidate's career progression and management characteristics, and a summary of three to four references. We then work with the client to arrange on-site interviews and can provide assistance in developing interview formats and guidelines. We also brief each candidate prior to on-site interviews to be sure they know what to expect and how to prepare. We remain available to the client to discuss each candidate and assist in any way necessary to make a final decision. Once a candidate has been selected, we also can help structure and present the job offer and compensation package. Once an offer is accepted, we notify those candidates not selected. Close contact continues with both the client and the candidate for a year following the placement to ensure mutual satisfaction. If, for any reason, the placement leaves before six months, we conduct another search for the same position at no charge, except for expenses. Effective Collaboration & Appropriate Emphasis. Effective collaboration between the search consultant and the client is critical to completing a search efficiently and effectively. It is also important that the client put the right level of emphasis on the search and that the hiring manager be directly involved. There is no doubt that hiring a senior leader is time consuming, but making the wrong decision is always time consuming and costly. Practically every leader will say that making the right hiring decision is their most important responsibility, but too often other things get in the way. It is increasingly difficult to find top leadership talent in all areas of healthcare – and nursing is certainly no exception – it is the rule. Executive search dramatically increases the chance of finding the right leader – but the candidate pool is finite. As the requirements for the position go up, the number of potential candidates goes down – so it is important to be clear on the most important requirements for success. It is also important to understand that in today’s market it is rare to be able to present more than three qualified candidates for any nursing leadership search. Pulling out an old job description to recruit a senior leader will not suffice. To attract the right caliber of candidate, professional recruitment documents that include specific first year objectives, key functions, relevant qualifications and characteristics, and information about the organization is essential. If these documents fall short, so will the candidate pool. It is important to allow sufficient time to really get to know the candidate during the interviewing process, and vice versa. Interview questions should be prepared in advance and be behaviorally based to ensure fairness and a thorough evaluation of each candidate. Clients who understand the importance of "selling" their organization and job opportunity are far more likely to attract the best possible candidate. Candidates are just as interested in making the right decision as the client; they want as much information as possible, they want to feel welcomed when they interview, and they want to know they will be properly supported if they accept the position. Many top quality candidates get frustrated with haphazard or lengthy recruiting processes – and for good reason. Long delays between interviews and when decisions are made can make candidates wary. They either assume there is little interest in them, or that the organization is too disorganized or unprofessional to warrant going further. Setting up a recruitment timetable, and sticking to it, can help to avoid some of these problems. In this competitive marketplace, it is essential to know what the competition is offering in terms of compensation and benefits. Clients who want the best possible candidate must also be prepared to make the best possible offer. Compensation must also be consistent with the requirements of the position, taking into consideration the level of experience, education, and other key qualifications. Build your executive healthcare team one leader at a time. Leveraging our nationwide network and reputation, our healthcare executive search team has helped clients match lasting exceptional leaders to key positions for over 30 years. Get a healthcare executive search partner to help you build your clinical and operational leadership team. Reach the best talent locally, regionally, and nationally. Achieve your strategic goals with an executive search consultant who understands your organizational challenges. For more than 30 years, Kirby Bates Associates has provided cost effective solutions for healthcare clients seeking exceptional leaders and executives. With our nationwide network and reputation, we are known for matching outstanding healthcare executives to key positions at all levels. 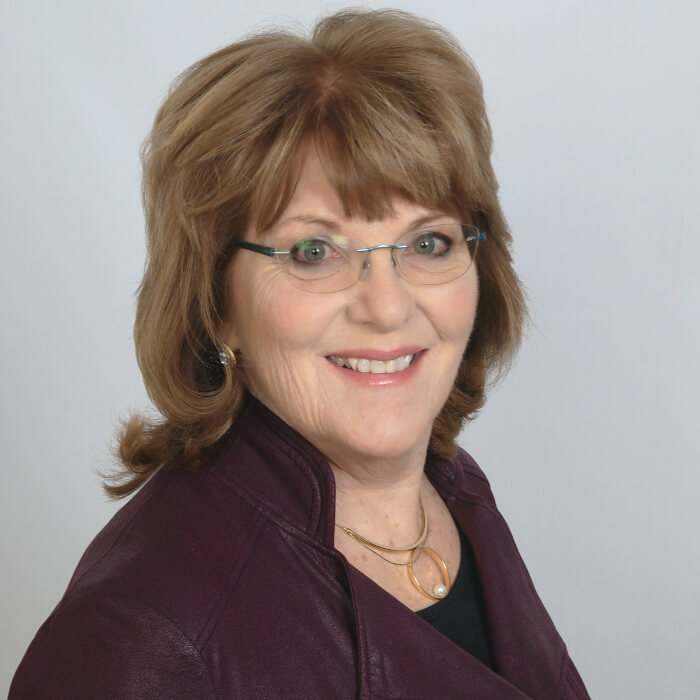 Led by M. Jane Fitzsimmons, RN, MSN, Executive Vice President, Search Services, the Kirby Bates Associates healthcare executive search team uses a collaborative approach to search based on achieving a thorough understanding of each client’s goals and objectives. We know first-hand the challenges facing clinical and operational leaders and the expertise required to lead critical healthcare departments in the current healthcare environment. Our proven process is efficient and cost effective. Our healthcare executive search team has held C-Suite positions in leading health organizations and have the skills and experience necessary to be completely objective — ensuring both credibility and superior outcomes. Our proven process is efficient and cost effective. Click here to see the infographic overview. Year after year, Kirby Bates Associates executive searches deliver the best possible candidates for your most crucial leadership positions. Kirby Bates leverages its nationwide network and respected reputation for identifying and developing exceptional candidates for all disciplines of executive roles. We develop specific deliverables that are proven to assure successful candidate selection.